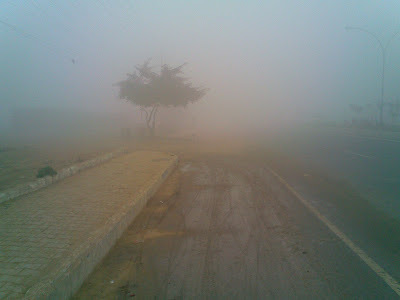 Home > My Passion.....Bikes > Dilli Ki Sardi!! In what is being said as one of the worst fogs in many years, yesterday and today the city saw what happens if God left his refrigerator open!! Boy it's cold out there!! The bike took three attempts to start with the choke on, but the good thing is, it didn't waste anymore time after that and got hold of the spin in a flash!! The patches were I usually stay at speeds of 70-75kmph, for two days I'm crawling at speeds of 35-40kmph.